Our Flat Top Series Chests can provide storage space in an upstairs hall or furnish that space where nothing seems to work. Choose from our many different options to create that special chests built just for you such as dovetailed corner joints. Flattop Chests come standard with cedar bottom, lock and casters, full cedar lining is also available. This Amish Hope Chest is proudly made of solid wood in the USA! 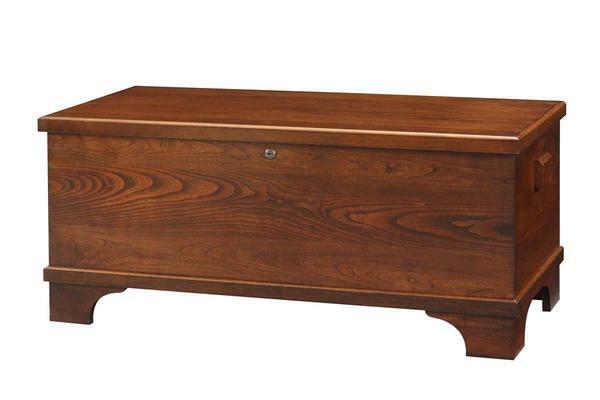 This beautiful Hope Chest with Optional Dovetail Joints is handcrafted using solid wood. Our Bedroom Furniture is Amish handcrafted in the USA. This Amish chest will look beautiful next to the bed or anywhere in your home.